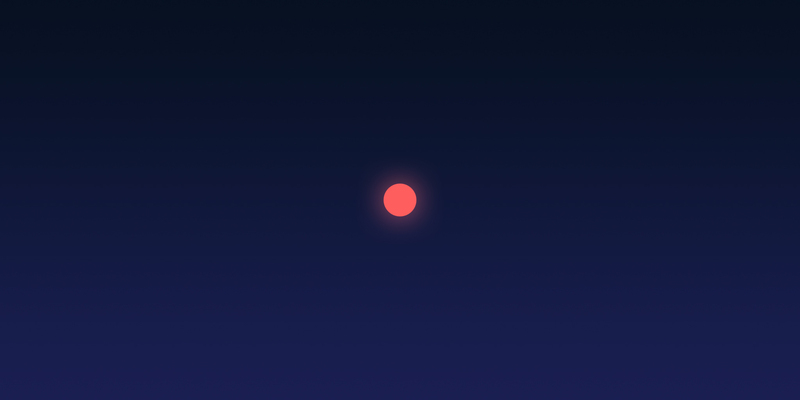 My nighttime ritual for the past two weeks has been to wander out into the backyard and scan the heavens for the brightest red dot in the sky. Mars is the closest it’s been to Earth since 2003 and that proximity gives it a brilliant presence in midnight’s vast inky blackness. We often take the stars for granted because they’ve been there since we were born and will be there when we pass on. It’s taken a bright red stranger for me to reflect on my underappreciation of this grand galactic theatre and take the time to enjoy it. Seeing a planet from our own solar system – rather than stellar pinpricks that are hundreds of lightyears away – gives me a palpable sense of closeness. (Or as close as 36 million kilometres will get you.) Being able to easily visualise something on an interplanetary scale lets me know that the universe is vast but still attainable; there’s things we can do beyond our own planet that are within our grasp. It’s a tiny little bit like the Overview Effect that astronauts get, but in reverse. Mars will probably fade from our view by the end of August, and I think I’ll miss it when it’s gone. I’d encourage you to spend just a few seconds enjoying it tonight and thinking about what a marvellous place our patch of space is.